Sports Interaction is the best online sportsbook licensed in Canada, providing sports betting services for more than two decades. This company offers a superb live betting platform, along with thousands of lines for sports leagues and events around the world. Sports Interaction also provides superb betting bonuses, including a solid welcome promo for new members. 200$ Bonus *EXCLUSIVE* Bonus up to $200! 3Opt into the bonus during your first deposit. 4Sports Interaction automatically deposits bonus, up to $100. Solid signup bonus and betting promos. Superb selection of global sports betting lines. Secure service, licensed in Canada and Jersey. Sports Interaction offers a solid welcome bonus for all new members joining the service. While creating a new profile, players simply need to opt into the promotion as they confirm the details of their account. After verifying the account, you’ll need to arrange your first deposit before the bonus is applied. A variety of bonus options allow you to select the amount of rollover you’re comfortable with. Accepting a lower bonus percentage results in a lower rollover requirement. The maximum welcome bonus applied is $100, with the option of a 10%, 15%, 20% and 100% bonus. A 10% bonus requires a 3X rollover, while the 100% bonus requires a 10X rollover. After signup and first deposit, the welcome bonus is automatically credited to your account. One of the easiest ways to earn bonus betting cash is through Sports Interaction’s friend referral program. Unlocking this bonus begins with logging into your account and navigating to the referral page, where you will be able to nominate your friends. Sports Interaction will generate a unique referral link, connecting your referral to your friend’s account. When your buddy signs up and make their first deposit, you’ll receive a 20% bonus worth up to $200. Like all new members, your friend will receive the $100 sign up bonus into their account. 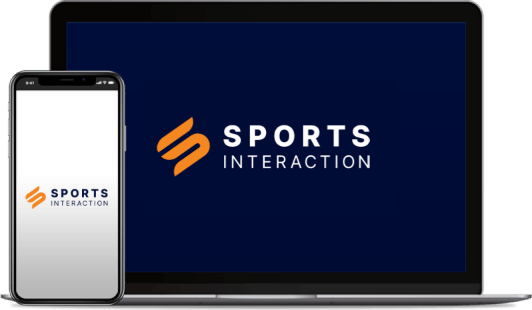 Sports Interaction automatically credits your bankroll when the referral process is complete. Similar to other bonuses, the referral bonus requires a rollover of 5X to fully convert the bonus into cash. Sports Interaction runs a variety of betting promotions for new and established members, increasing the odds of profit in the long term. Betting specials for NFL, NFL, MLB and NBA matches appear from time to time, along with promos for international soccer, horse racing and other major sports leagues and events. A popular betting contest available for most types of sports wagers involves a “pinata” pick special. This promo operates like a lottery, assigning a random pick for a future event. This event might be the eventual winner of the playoffs, or an individual player prop like an MVP winner at the end of the regular season. A large payout is provided for this type of sports lottery, multiplying your initial stake up to 40-50 times if the random pick happens to win the bet. Similar to many sportsbooks, Sports Interaction also provides email promos for established members, including the occasional deposit bonus. A variety of traditional and digital methods are available for deposit methods for Sports Interaction methods. Credit cards like Visa and Mastercard are accepted, along with Interact e-Transfers and instant banking options like wire transfers. Instadebit, eCheck, Paysafecard and ecoPayz provide secure digital methods of transferring funds into your account. Open a Free Sports Interaction Account Now!